Every home has its own unique range of noises, and your Stafford, Texas, dwelling is no different. Though many sounds present little cause for concern, it is important to take a moment to identify noises made by your HVAC system. Some HVAC system noises result from normal operation. However, others may indicate a failing system or the need for urgent repair. 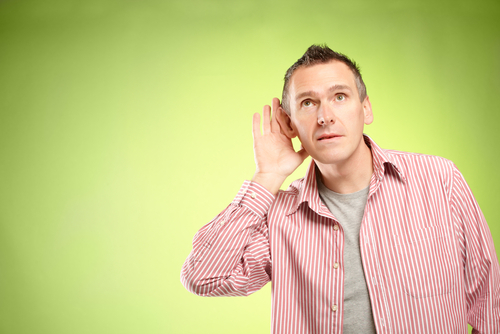 Your HVAC system is likely to make a lot of different sounds. Each could be pointing to a specific problem within your system. A knocking or clanking sound that is heard throughout the house is fairly common in fall or early winter when you turn your heat on for the first time. After months of cooling, your ductwork needs to adjust to the new demands of heating your home. It will expand as the heat turns on and may contract again over a long period of disuse as it cools down. If you use a radiator, and can track the sound back to your radiator, it is probably due to a buildup of steam. In that case, you can contact a professional to help you bleed the radiator. If it is a persistent problem, you may want to consider upgrading to a newer heating system. A loud thumping noise coming from your HVAC system is understandably alarming. Any type of rattling from within the HVAC unit is cause for concern, as it often means that a component is loose and moving around more than it should. The solution could be as simple as tightening the part, or it may involve a complete replacement. A likely culprit is your motor bearings. Have a qualified technician inspect your system and repair the problem. This noise occurs in fast succession and typically continues at a regular pace whenever the blower in your HVAC system is running. It usually happens when something is caught in the blower blades or housing. This may be a small and relatively harmless bit of debris, but left unattended, even that can cause serious long-term damage. Don’t go poking around in the unit yourself. Call a professional as soon as you notice this noise, as it is unlikely to go away on its own. Don’t forget to schedule annual maintenance for both your heater and air conditioner. These regular visits include a thorough cleaning that can prevent this type of problem. Every home has systems that cycle on and off at some point during the day. For example, you will hear a soft clicking sound when your HVAC system turns on and off. This noise is perfectly normal when it coincides logically with your system’s operation. It is also normal to hear occasional clicking noises associated with your heat pump as the switch clicks on and off. If the control panel or compressor for your HVAC system clicks repeatedly or clicks when the system is off, you may have an electrical problem. You should turn to a maintenance professional for help to ensure that problems are addressed in a timely manner, and so that your system does not experience further damage. Wheezing and whistling noises are some of the most unsettling because they can sound unnerving at times. Check the filter on your HVAC system. A persistent whistle or wheeze is often caused by air trying to pass through a dirty, clogged filter. You should change your filter about once a month to keep this from happening. Your water heater can contribute to some of the noise you hear around your home. Is your water heater making a bubbling noise? This can be caused by a buildup of sediment at the bottom of the tank, which forces your unit to work harder than normal to heat your water. Have a professional flush the tank, and this will quite likely stop the noise. Regularly flushing the tank also increases the life of your system, so make a point of scheduling this maintenance task every few months. If you are hearing disturbing sounds from your HVAC system, contact Conditioned Air TX at 281-201-0356. We can help you to keep your system performing efficiently so that you can maintain peace and comfort in your home.